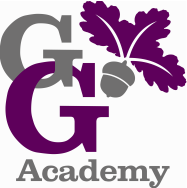 At George Grenville Academy we have designed our curriculum to inspire, motivate and challenge our children. We believe that adopting a creative approach to curriculum planning allows the children to deepen their understanding and strengthen concepts while developing a thirst for knowledge. At the heart of all we do is our mission to equip our children to aspire and achieve their best inside our gates and out. Our curriculum allows for the development of children's social, moral, spiritual and cultural awareness which enables them to be positive citizens of modern Britain. ​We are always keen to show parents and visitors what this learning looks like in action so please contact the school if you would like to visit.